Manufacturer of a wide range of products which include plastic swing bin. 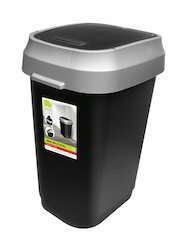 Swing Bin With Eco-Friendly Plastic Material. The Swing Lid is Fixed With The Main Lid In Such a Way That The Main Lid Can Be Opened oF Any Time for Unloading Waste.